Based on 1 Cor 13:13, may this bracelet help remind you of the important things in life. 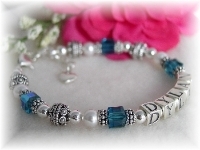 Designed with Swarovski Clear AB crystals, message beads reading "Faith", Hope", and "Love", and sterling silver bead caps. Extender chain and charm optional. May this bracelet help remind you of the important things in life. 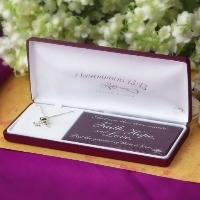 It would make a beautiful and meaningful gift for confirmation, godparents, sponsors or anyone of strong faith. 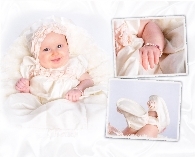 A delicate and meaningful charm necklace with the inspiring Faith, Hope and Love message!